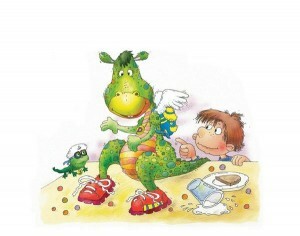 I promised myself when I was finding an illustrator that I wouldn’t compromise my vision of Danny the Dragon. It was quite a search, taking nearly a year, but finally I found exactly what I was looking for with Aija Jatsuna, who lives in Latvia, Europe and didn’t even speak one word of English. As soon as I saw her renditions of Danny, I knew she was the one! I am so proud of myself for having stayed true to my uncompromising standards and grateful to Imagination Publishing Group for their support. With more and more independent publishing houses cropping up and self-publishing becoming increasingly popular, there’s never been a better time than now to stay to true to your vision. I totally know what you’re saying!!!! This is so true of anything that you do, that whole integrity thing plays such an important part in your life! I’m a teacher and when I first got started the school I was working for was pretty restrictive when it came to my objectives and vision for the students. I ultimately handed them my resignation and found a wonderful position at a private school that allows me to fulfill my wildest dreams as a teacher and the pay-off is incredible! This was such an inspiring story to read! I’m soooo glad you did stay true to your vision because Danny the Dragon is PERFECTLY rendered and I can’t imagine him any other way! There are many other amazing artists with similar stories. You are just so spot on with this advice tina. it’s valuable advice for all artists i think in many different fields. people who have changed the world or contributed great things to it, they all had people trying to knock them down, but they persisted anyway and did very great things as a result! Amen! Great words of wisdom for any endeavor you’re involved in…@gina you raise such a good point and so well stated! Hi TIna we were so happy to find you have a fan club and newsletter and that Danny the Dragon Meets Jimmy is just the beginning of your series. We are soooo looking forward to your later installments.